New Huffish Champions around the world! Chris Group 2 and new Croatian Champion! I want to thank all the lovely puppie buyers around the world that are doing so great at shows with their dogs! They are successfull in many different countries and if I miss to mention someone please let me know. Its not by purpose. We are very proud and greatful for you! Slovenia: Huffish Back in Business “Chris” he is with his new owner Katarina Kocjan. JWW-10, Multiple BOB winner and Croatian Champion. Pictured here from the weekend where he got 2BOB and one Group-2. Chris is from “Diego” and “Emma”, the sister to “Rachel”. Serbia: Chris littersister “Saba” Huffish Moving On, Junior Champion. Well done Ana with family and handler. Greece: Huffish Brazilian Woman “Brazil” sister to Chris, Rachel and Saba, Multiple BOB winner and groupwinner. Well done and they also got a little baby in March this year. 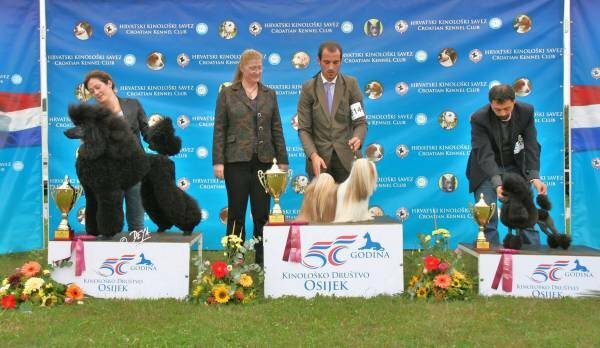 Serbia: Huffish It´s No Secret “Haf”, Multiple BOB winner and Junior Champion. Congratulations. He is from “Hollie” and “Thomas”. USA: Huffish I Did It My Way “Sinatra” got his US championtitle at 13 months of age, he is with owner Kay L Peiser. ths brother to Haf. Russia: Huffish Smart Holiday “Lotta” Junior Champion in Russia, multiple BOB winner and a groupwinner too. Great job Olga and Julia. 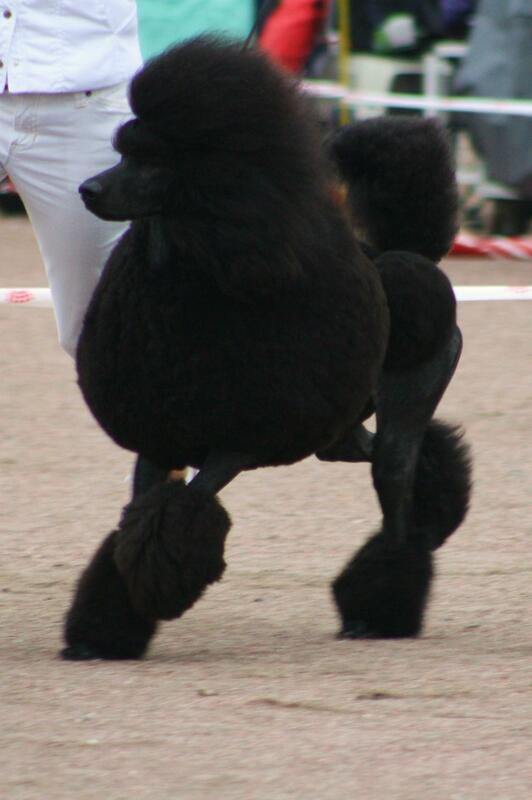 Finland: Huffish On and On “Dino” BOB and Groupwinner and multiple CAC. Keep on the good work Paivi and Tania. Dino is from the 3rd combination last year, “Diego” and “Kira”. England: Huffish Remember the Time “Bonnie” just qualified for Crufts and they have started the show scene. Good Luck in the future. She is a littersister to Dino. This weekend in Sofiero Huffish Poker Face, another littersister to Rachel, Saba, Chris and Brazil took her first CAC and ended up 2nd Best female. And the ones we have in Sweden you have heard about before: Huffish Da Maya Woman, Multiple CAC. Huffish Heartbreaking Holiday, Mutliple CAC. Huffish For No One, CAC winner and Huffish The Only Way is up, only been out once. Dino heading towords his groupwin this weekend! We havent forgot about our other puppie buyers that love their dogs, you are as important as anyone else. I always tell people that I sell to people that will love their dogs for what they are always! It makes me sleep good at night. Again thank you to ALL for loving your Poodle from us. I hope you will still have a great life together with your caracter. ← We are going to represent Sweden at the World Challenge in Long Beach California!